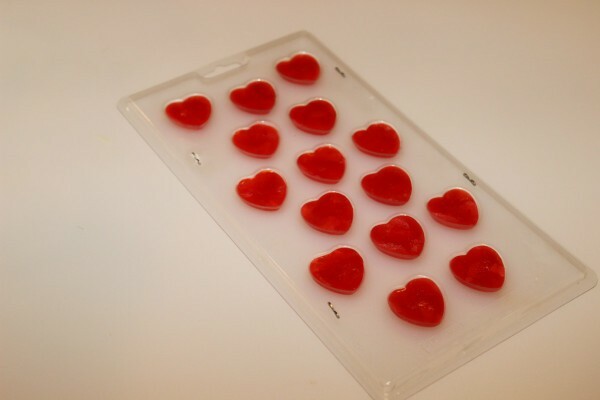 These cute little red milk ice cubes are a nice touch when added to milk, coffee, or tea on Valentine's Day. 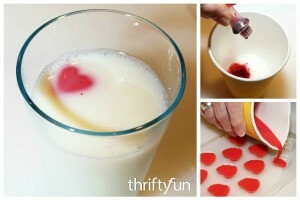 This is a guide about heart shaped milk ice cubes. 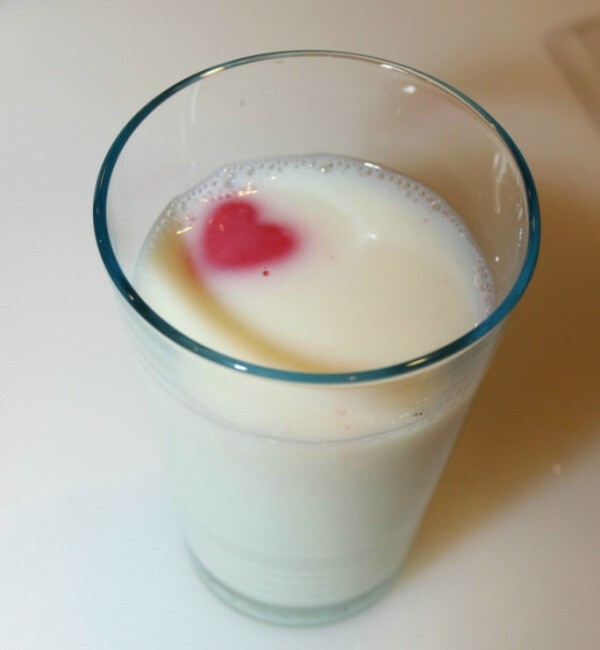 Surprise your Valentine by slipping a little red heart into their milk. These heart ice cubes are made out of milk so they won't water it down and the milk will turn a fun pink color as they melt! 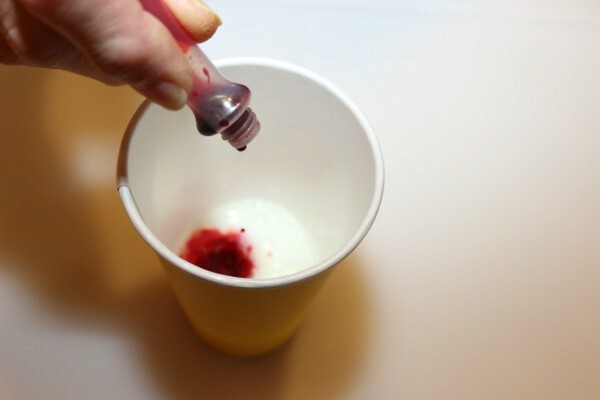 Pour a little milk into a cup and add a few drops of food coloring. I used a paper one so that I could squeeze the rim for easy pouring. 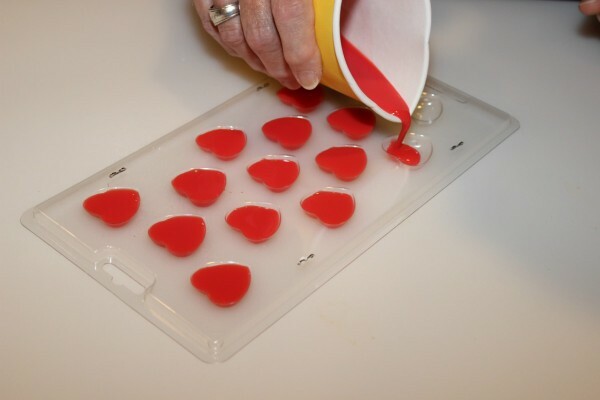 Fill the candy mold reservoirs with the red milk. Place the tray in the freezer until the cubes are solid. 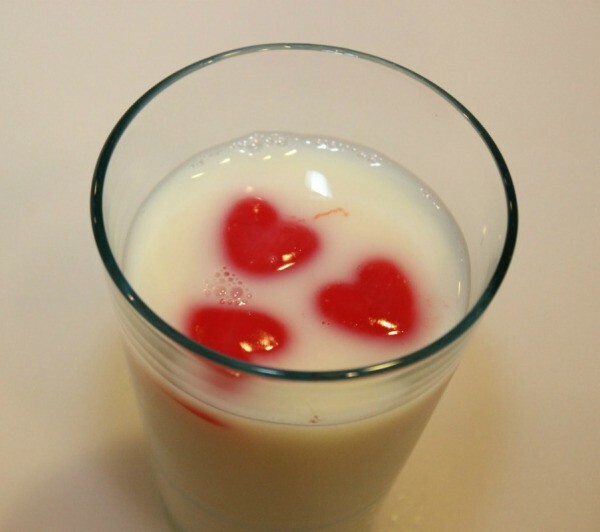 Add the hearts to a glass of milk. They begin to melt quickly, so wait until you serve it. Enjoy!